Thrills by the Bay: December Gold Striker update! 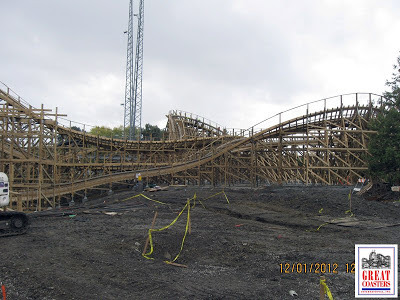 Great Coasters International updated their Facebook Page with some nice Gold Striker construction! Despite the note-worthy storms the Bay Area took on this past week, it looks like some work has been done between storms. With this said, I'm now counting down the days for opening day, in hopes that Gold Striker will be ready for us to ride come March! Looking straight on at the lift. 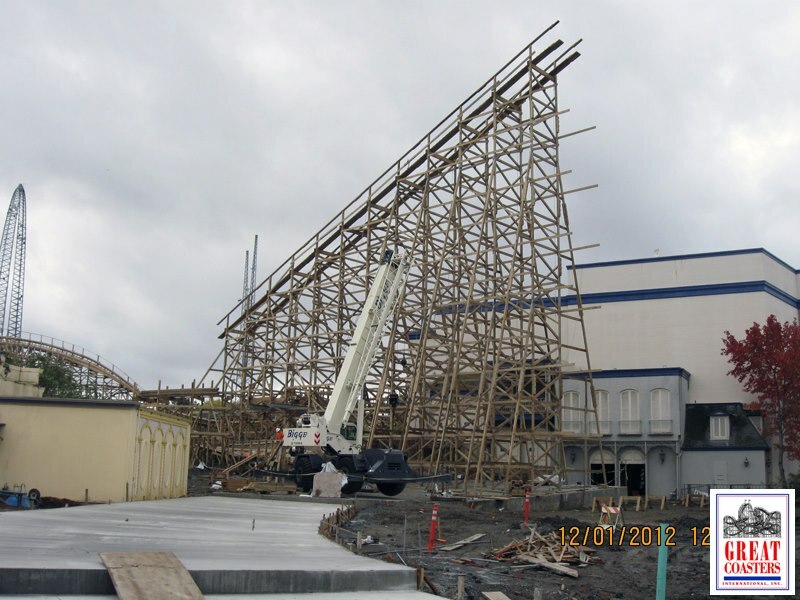 It appears that it received the 'catwalk' structure. A side view of the lift. Once the foundation is poured and cured, the lift will continue to rise. 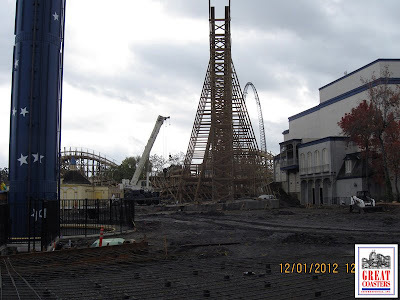 Speaking of foundations, the storm put a damper on progression. 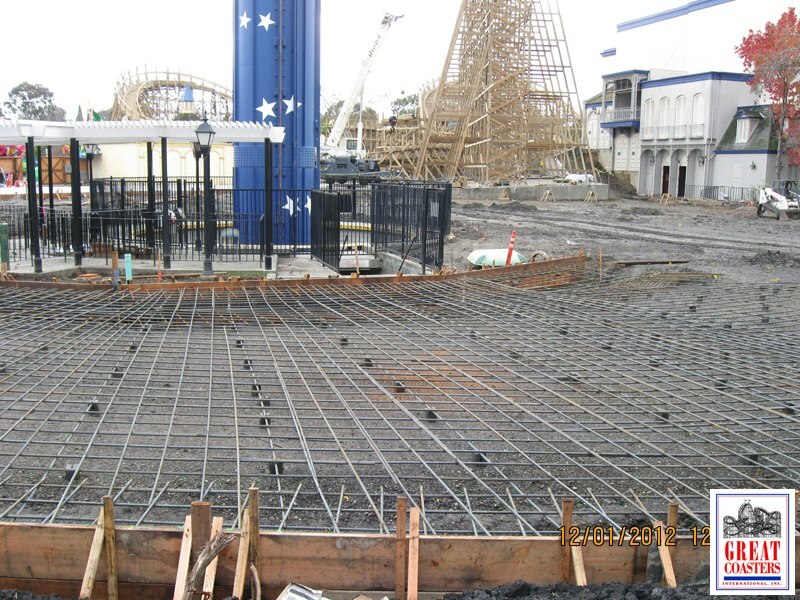 This looks like it is ready for some cement! 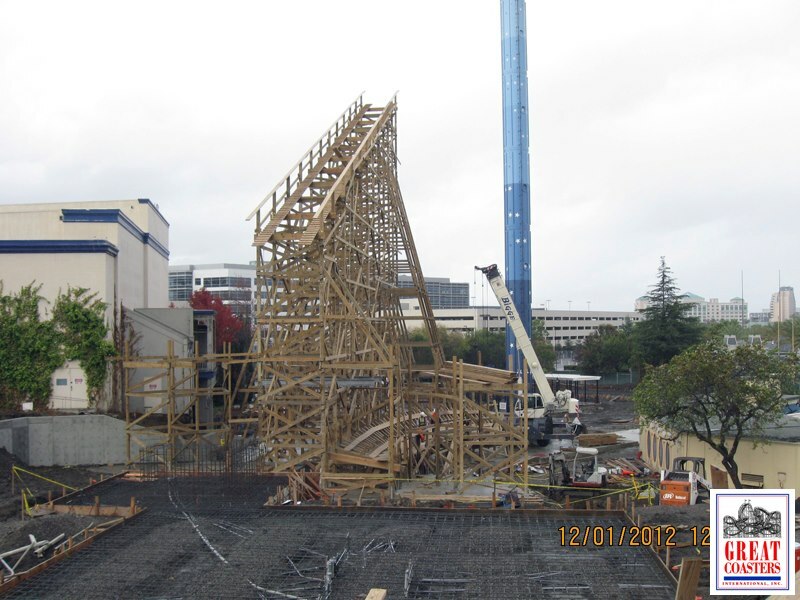 This is where the initial drop will wrap around the Star Tower before heading back between the station and lift. Workers are working on the curve just prior to the station flyby airtime hump. 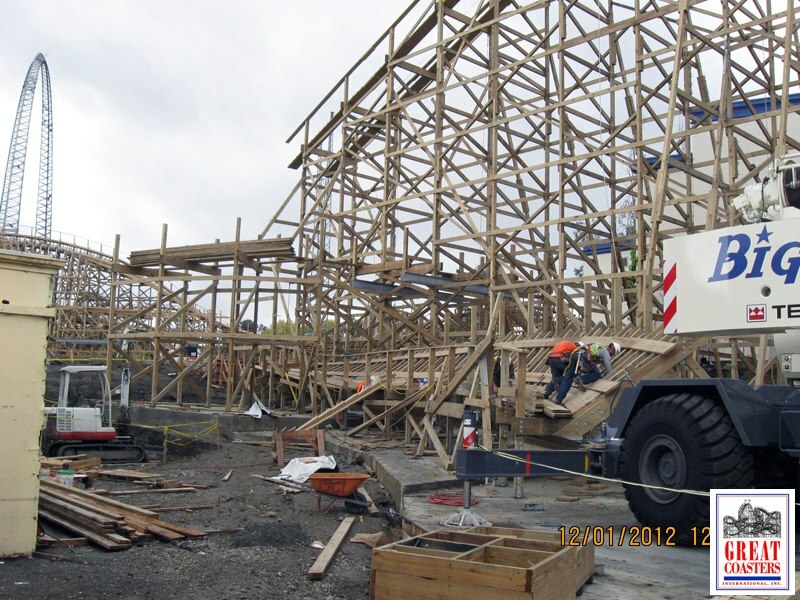 And here's a view looking back at a couple of the turnarounds. Some steel trackingis being laid out on the final turnaround. The 80-degree Midway Curve, with some Global Winter Wonderland stuff (funhouse) behind the turn. 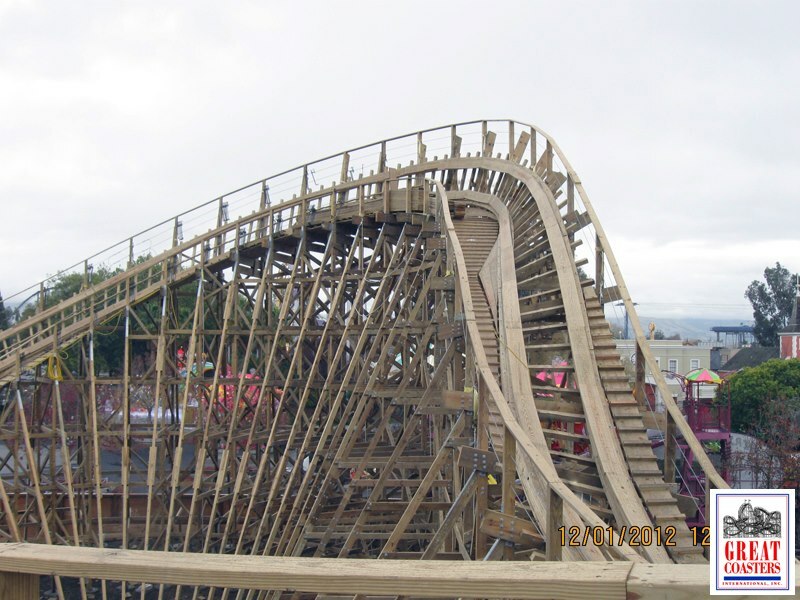 If you happen to check out GWW, be sure to go into the funhouse for an up-close view of the turn. A final look at the lift, and curve leading to the station flyby/airtime hump.